Located seven hundred kilometres from the southern coast of Sri Lanka, the islands of the Maldives offer a highly popular getaway spot for visitors from around the world. This is due in some part to the isolation and the versatility of the resorts on offer. The Maldives is made up of more than a thousand islands, only two hundred of which are inhabited, and many cater to those who want to combine privacy with superlative natural beauty. Almost half of the inhabited islands are actually luxury resorts, completely dedicated to creating a virtual tropical paradise for their clientele. 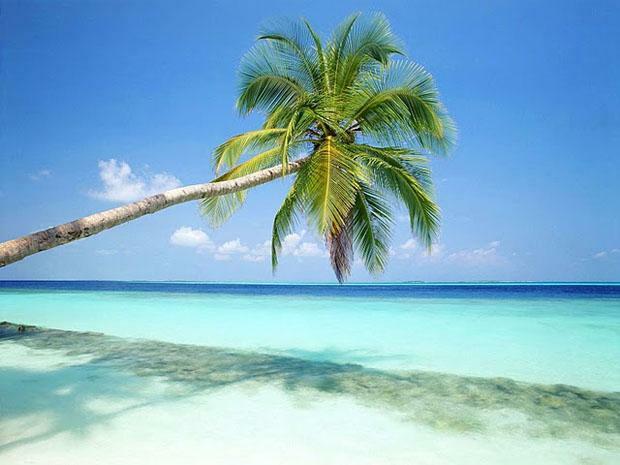 What gives poignancy to any visit to the Maldives is the temporary nature of its existence. In a century or more, the many islands of the Maldives will become flooded due to a rise in sea levels, and the plurality of flora, fauna, beaches, and forests will become a part of the ocean. Though the islands will not be faced with this threat for many decades, they should be appreciated now for their magnificent splendour. The island climate can be categorised into two seasons: the wet season that lasts from May to November and the dry season that lasts from December to March. During the wet season, the islands can be frequented by strong winds and rain, so the Islands are more widely patronised between December and April. April is an especially popular time, as this is a transitional time between the two seasons and is enjoyed for its consistently clear water and warm to temperate climate. As well as enjoying the stunning views of tropical plants, sandy beaches, and the clear water of the Laccadive Sea, there are countless activities and attractions to enjoy in the cluster of islands. Water sports are especially popular, with each resort offering their own distinct range of activities. These can include snorkelling, wind and body surfing, banana boating, canoeing, glass bottom boat rides, scuba diving, jet-skiing, and speed boat excursions, all tailored to the age, fitness level, and inclination of the customer. For those who want to explore the richness of the local culture, there are a range of ethnic landmarks and sites to discover. 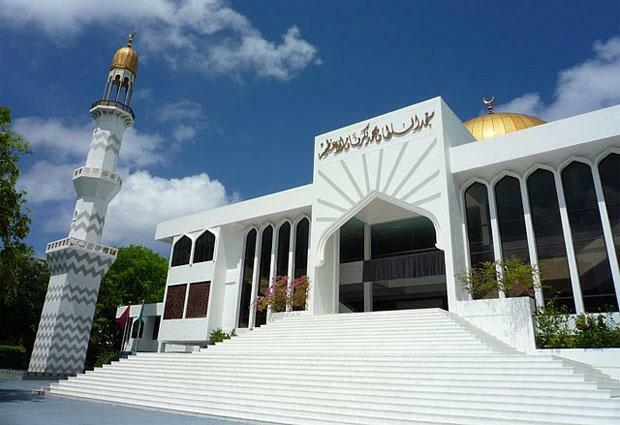 The Grand Friday Mosque, constructed by the Sultan Ibrahim Iskandhar in 1656, is the largest mosque of Maldives, and has the capacity to accommodate over five thousand people. It is often remarked upon for its breath-taking architecture and prominent gold dome. The building contains an Islamic library, and its interior walls are lined with intricate wood carvings and Arabic calligraphy. Another popular attraction is Maldives National Museum. The three story structure is filled with unique and significant artefacts ranging from stone objects to fragments of royal antiques. The building itself is a part of the Maldivian Royal Palace, dating back to the 17th century, and is the only part of the structure that survived after it was demolished in 1968. The Esiehi Art Gallery is another notable attraction and is located on the east of Sultan Park in one of the oldest buildings of Maldives. The building dates back to the 1870’s and was owned by a nobleman. It is noted for its beautifully preserved wooden panels, fine carvings, and its collection of traditional and contemporary Maldivian art. Along with these amazing traditional attractions, there are a wide range of high quality markets, restaurants, night spots, and shops to discover. With a seemingly illimitable range of things to do and see, as befits an archipelago of thousands of Islands in an idyllic Indian ocean setting, it is no wonder that the Maldives are one of the most desirable holiday locations in Asia, one that tailors itself to all kinds of travellers and thrives on introducing visitors to its inexhaustible and varied assets. Richard Olsen the author of the “The Maldives islands of inspiration” is a blogger and travel writer that has worked for many travel websites worldwide.